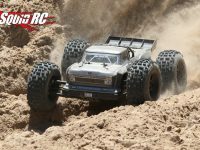 proline « Big Squid RC – RC Car and Truck News, Reviews, Videos, and More! You are browsing the "proline" tag archive. 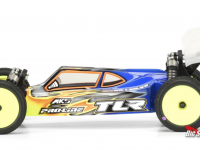 Looking to step up your game with the TLR 22 4.0? Look no further than the Elite Light Weight Clear Body from Proline. Save some weight, and race in style with this brand new body with a low slung design and sweeping lines that are sure to turn some heads! Buy it at This Link. 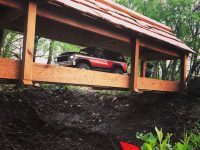 See more Losi news at This Link. In what looks like a trend, we just got a video from Pro-Line showing off their Trencher 2.8″ (30 Series) All Terrain Truck Tires that are designed for 2.8 Traxxas Wheels. So for all you guys running Stampedes, here are some tire options for you.Check out the Pro-Line web page for details. Getting in the sale spirit, Pro-Line has a sale going on for 15% off till September 6th 2010! Use discount code LABOR15PL to get your savings! 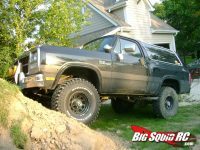 Head over to the Pro-Line page, and stock up on some bodies and tires! Cubby pulls off two reviews in one week? Some check to see if the Cubs are about to win the world series! Head over to the RC Reviews section to read his latest review! This time he puts the new Pro-Line Racing Holeshot tires to the test! Click the image or here for the review!